#TastyMorsels: Veggie/Vegan friendly Happenings and new openings. 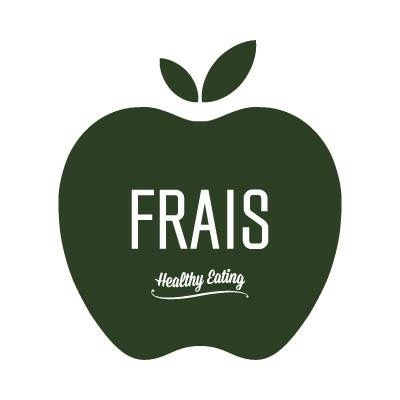 Frais Healthy cafe and juice bar in Shirley on the Solihull, Birmingham border has a Vegan pop up night on the 9th June from 7.30pm. They are also serving Vegetarian and Vegan breakfasts every weekend from £5.99. Dependent on the size ordered. Frais is an excellent spot for veggies and vegans with plenty of options on their menu. You can find them at Stratford Road Parkgate in Shirley. B90 3GG. Call 0121-439 1718 to Book for vegan pop up. The extremely talented and dynamic Katy Beskow has a new Vegan cook book out. 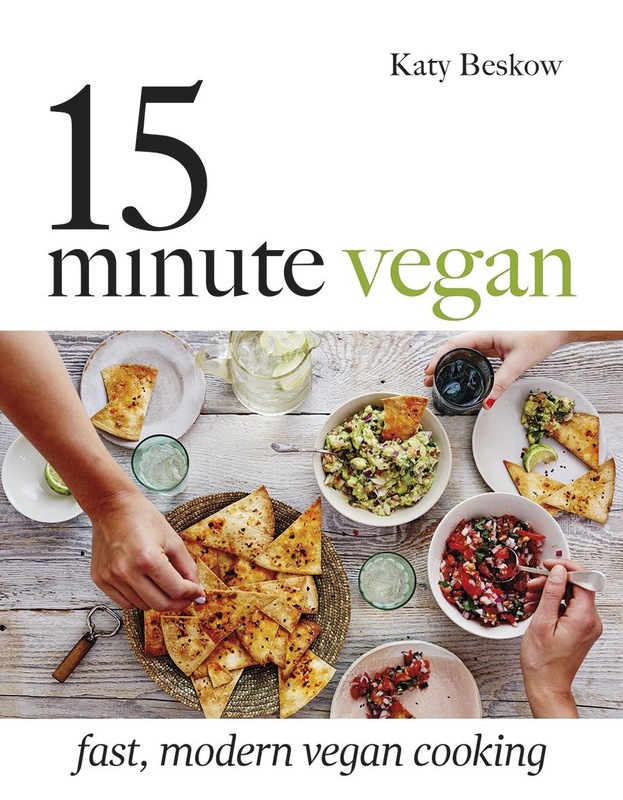 Called 15 minute vegan it is just this. Recipes for a modern age in super quick time. There are 100 recipes in the collection plus tips on preparation, store cupboard ingredients and an introduction to vegan cooking. Recipes include breakfasts, light bites, mains, essentials and sweet stuff. Her blog http://littlemissmeatfree.com/ is wonderful. You can also catch her at The Foodies Festival in Birmingham on the 24tth June at 12pm, demonstrating dishes from her new book which can be brought from the usual outlets. The Birmingham festival is at Canon Hill Park from the 23-25 June. 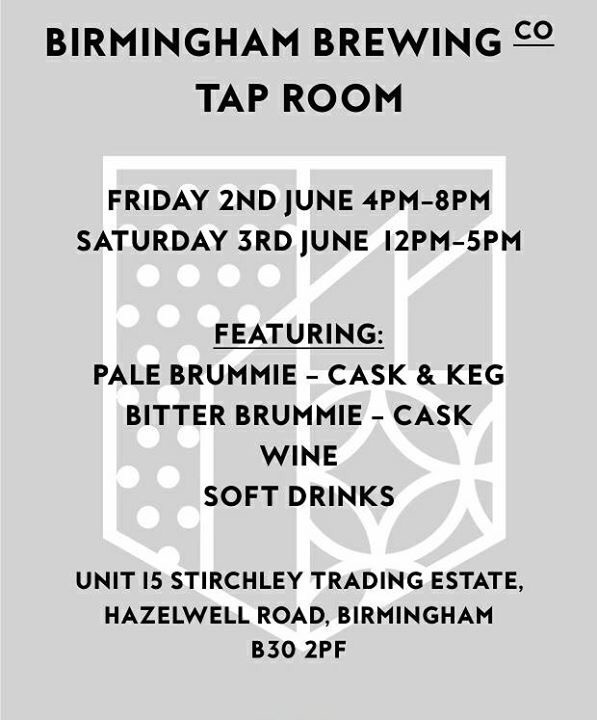 The Brum Brewing Company’s Tap Room is open for the first time on Friday 2nd June 4-8pm and Saturday 3rd 12-5pm. 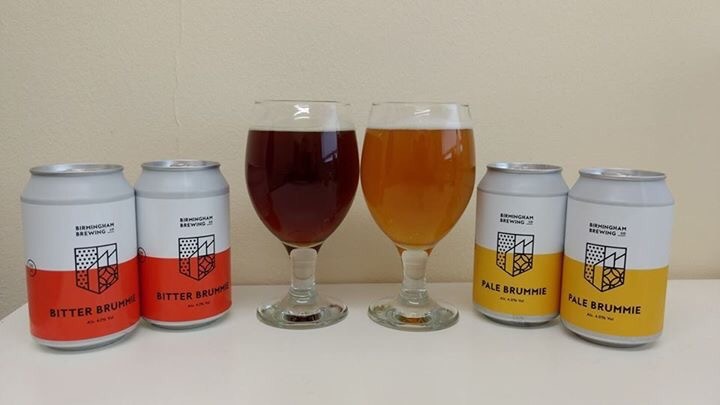 All Brum Brewing Co’s beers are unfined and Vegan Friendly. Based in Stirchley, Brum Brewing Co is Birmingham’s newest Real Ale and craft beer brewery. The tap room will have Bitter Brummie on cask and Pale Brummie on cask and keg for starters. Wine and soft drinks will also be served. Next month you can check out their IPA and experimental brew. 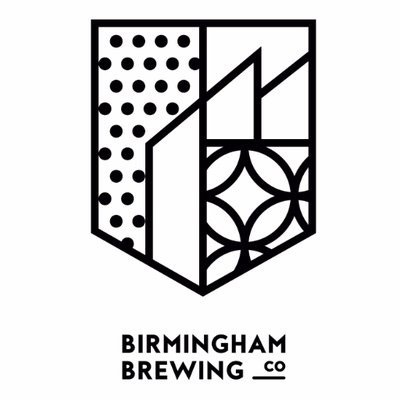 http://www.birminghambrewingcompany.co.uk/ and sign up for their mailing for updates. You can also catch them at Kings Heath Streetfood Market on the second Saturday of every month. This of course is next Saturday 10th June. Full line up yet to be confirmed. Dates for the tap room opening are Friday 30th June and Saturday 1st July, 28th July and 29th July, 25th and 26th August, 22nd and 23rd September. Cans of their beer are stocked in Connollys in the city centre and Stirchley Wines. 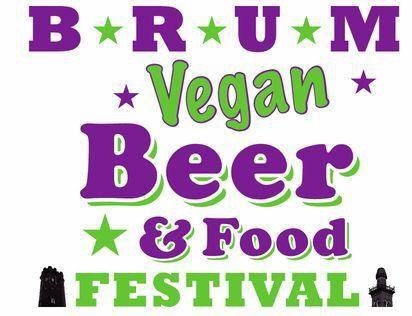 20th-22nd July is The Brum Vegan Beer and Food Festival. Watch this space for more details and full line up. The festival also coincides with Birmingham Beer Week. The Colmore Food Festival returns from the 30th June-1st July. Held in Victoria Square. 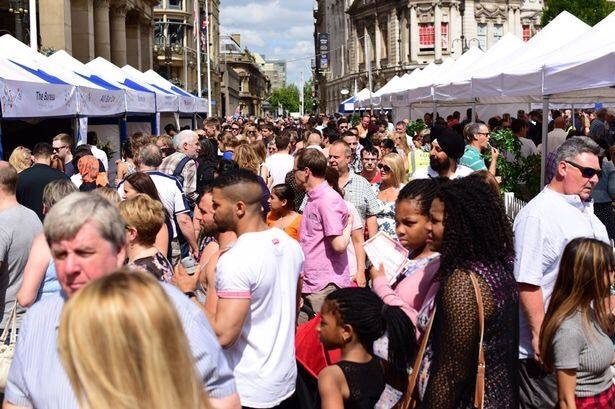 If you haven’t been it’s a fab free admission weekend for veggie foodies with all the top Colmore Business district restaurants and cafes present. Plenty of good value Vegetarian dishes from the likes of Asha’s, Chung Ying Central, Opus Restaurant, Jojalapa, and Zen Metro among others. Cocktails from Bar Opus, and The Alchemist, Beer from The Wellington and Pure Bar, plus coffee from 200 Degrees. Hotel Du Vin and Purnells Bistro will also be there for the drinks. Plus demos from Glyn Purnell, Aktar Islam and others and live music. All taster dishes are available for £4 or less. Admission Is free. A real celebration of Birmingham. 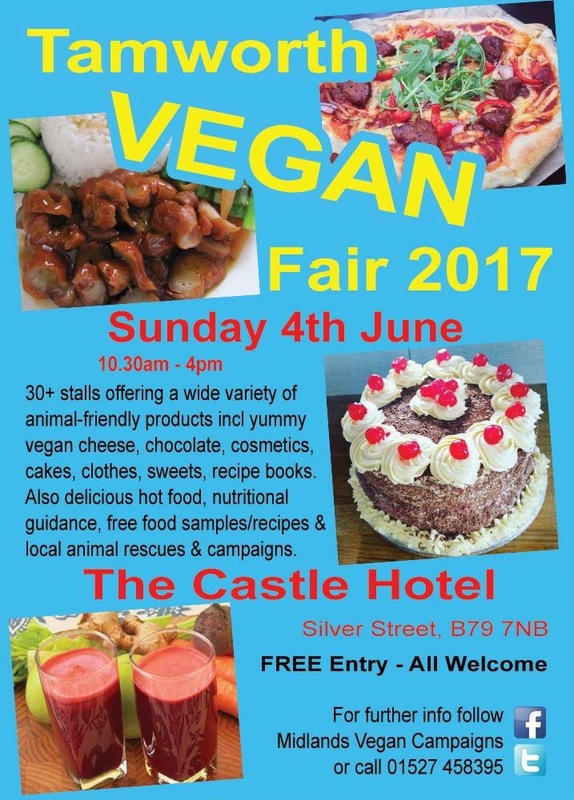 This Sunday 4th June is the first Tamworth Vegan Fair at The Castle Hotel in the town. It’s Free entry with 30 fab stalls, best vegan caterers and talks. Check out amongst others, The Vegan Pizza Company, The Vegan Cakery, The May Bakery, Sicily to Seattle, and The Ginger Cow UK and Chaat Man. Plus cakes from The Vegan Cakery. All Photos courtesy of places mentioned. With thanks. #TastyMorsels: Veggie and Vegan friendly Happenings and new openings. Stirchley Vegan Summer Fair is happening this Sunday. With 50+ stalls from cakes and cheese, to animal friendly products including fashion, it’s going to be a good day. 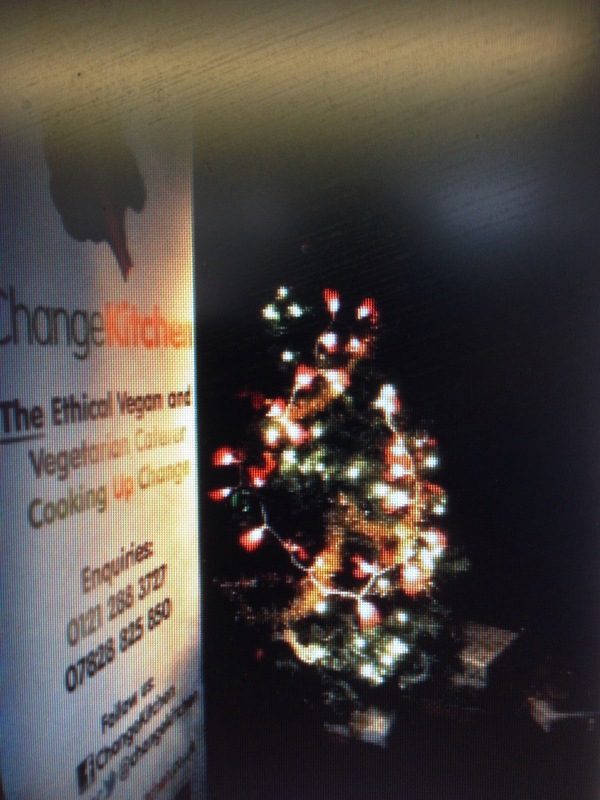 ChangeKitchen CIC will be providing the food at Stirchley Baths and Two Towers Brewery the drinks. They’ll have a fantastic array of delicious food to tempt you, including BBQ wings, pizza, Thai curry, burgers, their lovely healthy salads & hot & cold drinks. 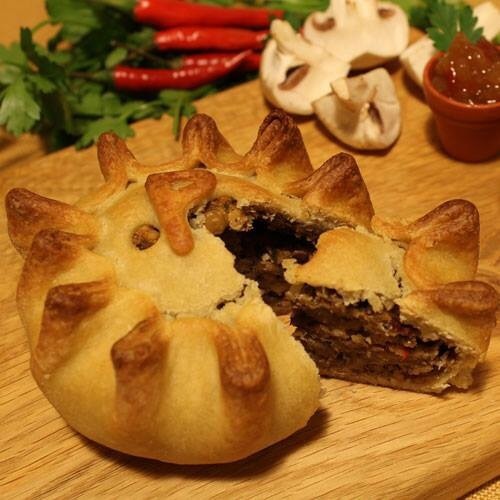 Vork pies from Nottingham will also be in attendance with their pies including Piri Piri and butternut squash. Hot or cold. Veggie Foodie favourites Mex it up will also be there as will Greens Vegan Catering. There will also be talks and food demos. Free entry from 10.30am to 4pm on the 7th May at Stirchley Baths, Stirchley. Though not a purely Vegetarian restaurant in the slightest Salt has opened in Stratford Upon Avon. It’s a cause for celebration in my book and a restaurant to keep an eye on this year. It’s also completely Kickstarter funded. Initially from Coventry he had recently been the head chef of Mallory Court bear Leamington Spa but did wonders before at Tuddenhan Mill in Suffolk. 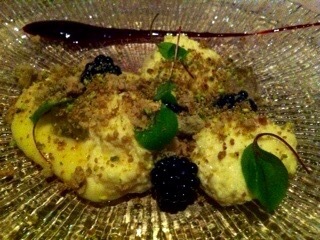 Salt always have a separate veggie menu available which has a tasting menu and a 2 choice 3 course option. The dinner menu is £32 for three courses and £25 for two. The tasting menu is £57. 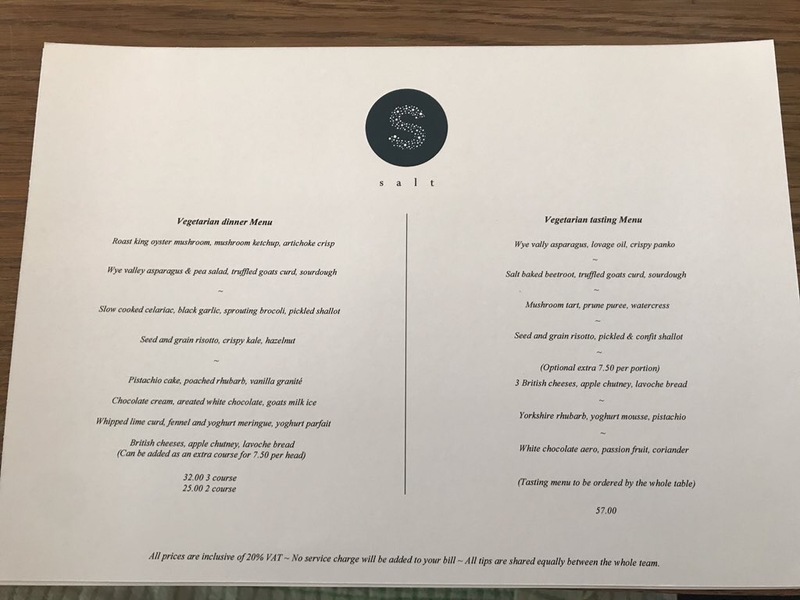 Dishes such as slow cooked celeriac, black garlic, sprouting broccoli and pickled shallots and Wye Valley Asparagus and pea salad, Truffled goats curd, sourdough. Also on tasting menu is a salt baked beetroot and seed and grain risotto with pickled and confit shallot and a Asparagus with lovage oil and crispy panko. Thanks to Paul for sending me the menu photo. One to keep an eye on and on my hit list to visit this year. 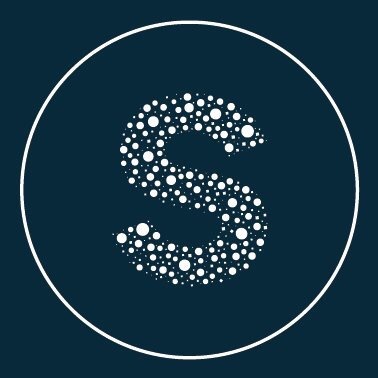 Salt is now open on Church Street in Stratford Upon Avon. Wahaca is set to open in Birmingham on 13 Temple Street later this year which is great news for Veggies as their menus are full of tempting Mexican veggie friendly choices. I’m getting a season ticket. Watch this space for more details later this year. 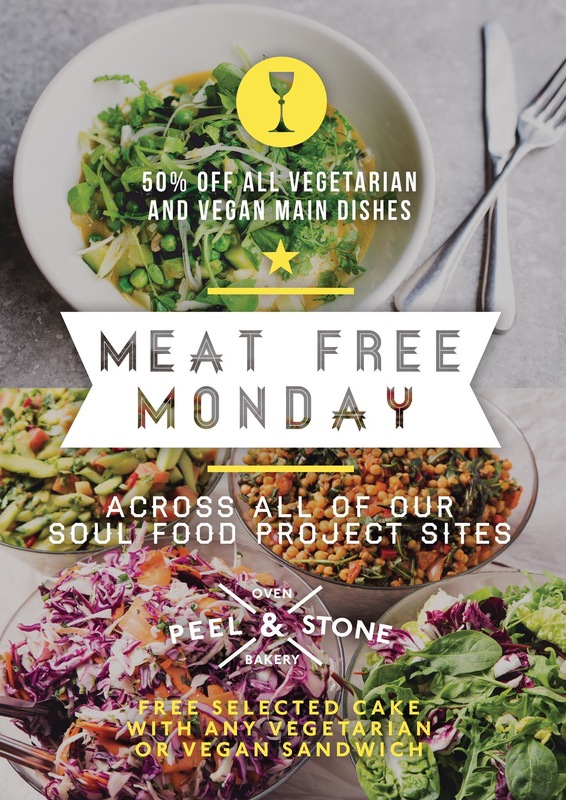 50% off all Vegetarian and Vegan dishes every Monday at all Soul Food Project Sites. That’s Peel and Stone in Jewellery Quarter and Harborne and The Church pub in Jewellery Quarter. Plus free selected cake with any vegetarian or vegan sandwich. Izza Pizza is open at Selfridges. Owned by the guys who run Veggie Foodie favourites Lasan and Raja Monkey. Thin crust pizzas made from special flour imported from Italy. Try their Margherita, and a luxurious one with truffles and mushrooms. Pizzas from £8. 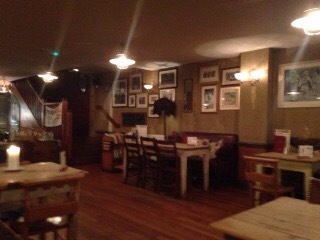 Also try The Woodhouse pizzeria on Ladypool Road at the old Brighton Arms pub site in Balsall Heath. Neoplolitan pizza including traditional pizzas such as Quattro formagi (Four cheeses) and Margherita. Plus Vegetariana with San Marzano tomatoes, Mozzarella, aubergines, peppers, mushrooms and basil and Fileto a white base pizza with cherry tomatoes mozzarella and Basil and Marinara tomatoes, garlic, oregano and basil and the classic Forte with goats cheese and sun dried tomatoes. Lovely! There’s also a lovely children’s menu. When pizzas are done well there are very few finer things in life with a cool beer. And veggie superstars Mr Singhs are opening up in Wolverhampton. Watch this space. 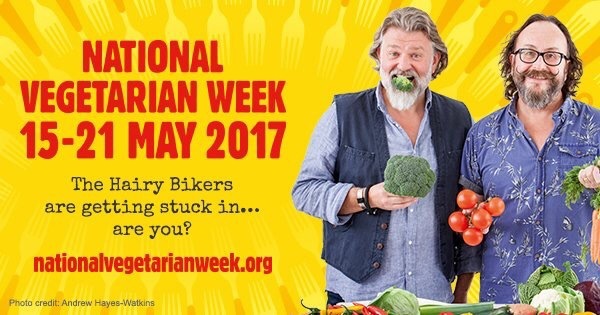 It’s also National Vegetarian Week from the 15th-21st May. Stay tuned for more. Oh and Guinness has just become Vegan and Veggie Friendly! Hurray. #Tastymorsels: Bar Opus and Opus latest. Bar Opus based in the heart of Birmingham’s bustling Colmore Business District has appointed Carl Hawkins as its new general manager. 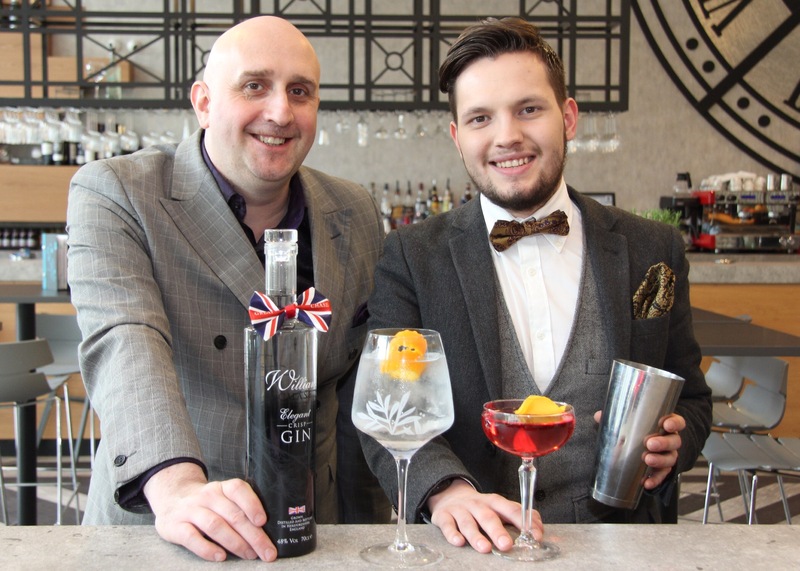 Born and raised in Birmingham, Carl has over 15 years’ experience as a ‘liquid chef’ working with some of Birmingham’s finest cocktail destinations. With a vast amount of experience in the bar industry, Carl was eager to join the Opus family and help catapult Bar Opus into the forefront of the Birmingham food and drink scene. Carl previously worked for The Jekyll & Hyde pub where, under his leadership, it became a national finalist for “Best Spirit Pub” in 2013 and “Best Cocktail Menu” by Class Magazine in 2011. Carl is also one of the founders of the Birmingham Association of Bartenders and has been committed to cultivating the next generation of bartenders for over a decade. Bar Opus is the sixth-month old bar addition to the Opus family, boasting a contemporary and modern landscape that will cement it as a city staple. Keeping with the Opus ethos, Bar Opus develops innovative food and cocktail menus, uses the freshest produce from the company’s range of British and strictly sustainable suppliers and engages with British spirit suppliers to create its inspiring cocktails. 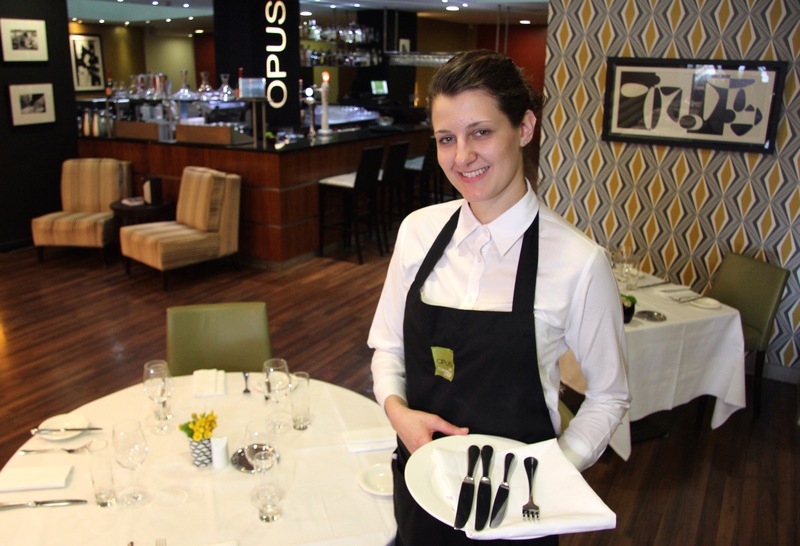 A talented waitress at city-centre restaurant Opus at Cornwall Street, Gabriella Murea has achieved the celebrated Service Award at this year’s Royal Academy of Culinary Arts Annual Awards of Excellence. The final, which took place on Saturday 16th May at Le Gavroche, London, saw Gabriella and 15 other finalists from some of the country’s finest restaurants and hotels serve a three course meal to two guests. As part of the service, Gabriella had to set up the table, decant and describe the wine, and fillet a dover sole in front of the diners. The awards, which have a high-profile judging panel, received an unprecedented number of entries and are designed to encourage young people within hospitality to achieve the highest possible standards in their profession. 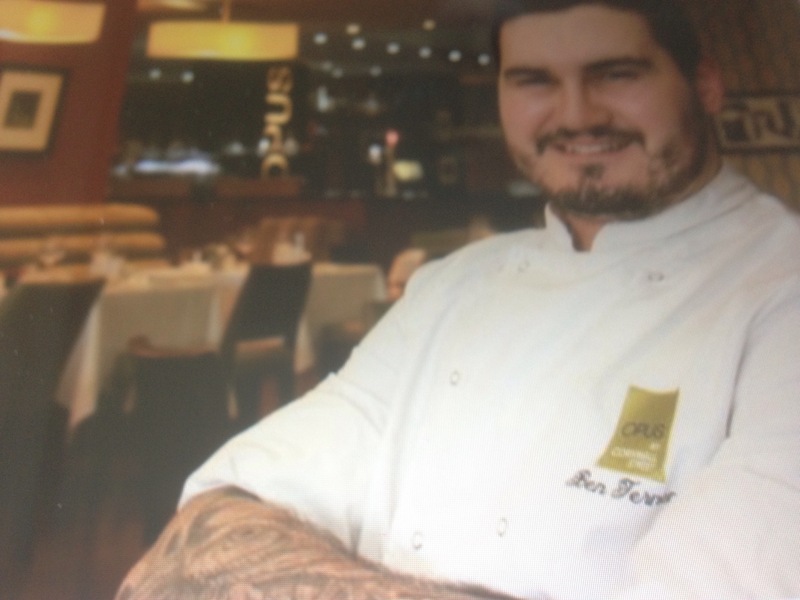 This follows on from Opus at Cornwall Street promoting head chef Ben Ternent to Executive chef to replace David Colcombe who helped launch Opus a decade ago and had run its kitchens. He will manage a team of eleven chefs and three kitchen porters at the groups three venues- Opus at Cornwall Street, Bar Opus and Cafe Opus at the Ikon Gallery in Brindley Place. He will help to develop menus and buy produce from the companies range of local and sustainable suppliers and continue to cook. We wish him well, and hope that standards will be maintained. 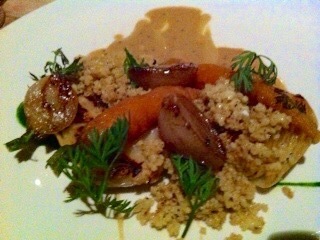 I can’t wait to see what he and his team cook up in the future, as vegetarian dishes are always worth tasting at Opus. #Tastymorsels: Veggie Foodie news: Epi Restaurant, The Edgbaston and En Place @ Six Eight Kafe. 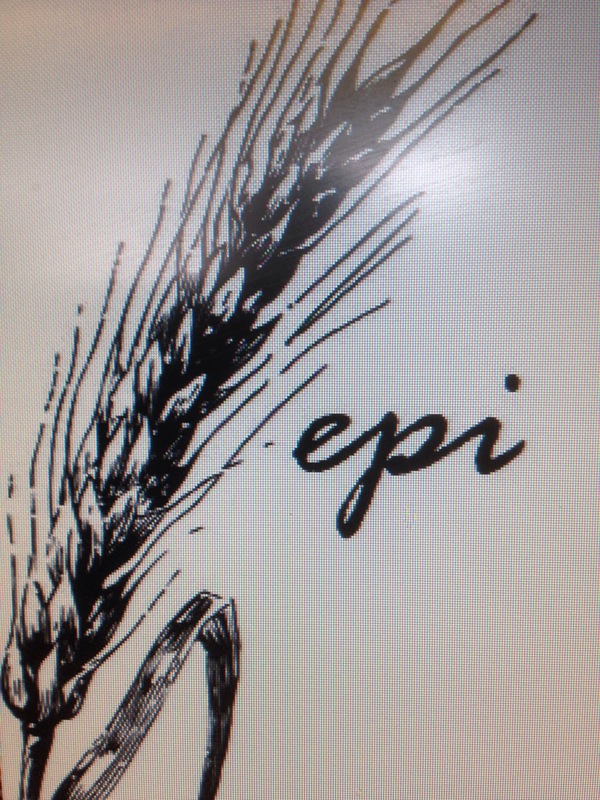 Bromsgrove based restaurant Epi last week announced that sadly Sunday 26th April will be its last service in Bromsgrove. Nathan and Charlie who run Epi are currently looking at various sights in Birmingham and hope to make an announcement soon on a new begining for the business. Epi Restaurant served me one of the best vegetarian meals I had last year and left a lasting impression on the thoughtfulness of the menu and the fresh taste of the seasonal ingredients that Nathan created, so for me it’s an empathy of both sadness of their closure and happiness at their impending move to my home (and theirs) city which should give me many more opportunities to enjoy fine innovative vegetable dishes. Keep an eye on their social media and Veggie Foodie for updates. Here is a reminder of my review last year. Two of Nathan’s vegetarian dishes from my last visit. 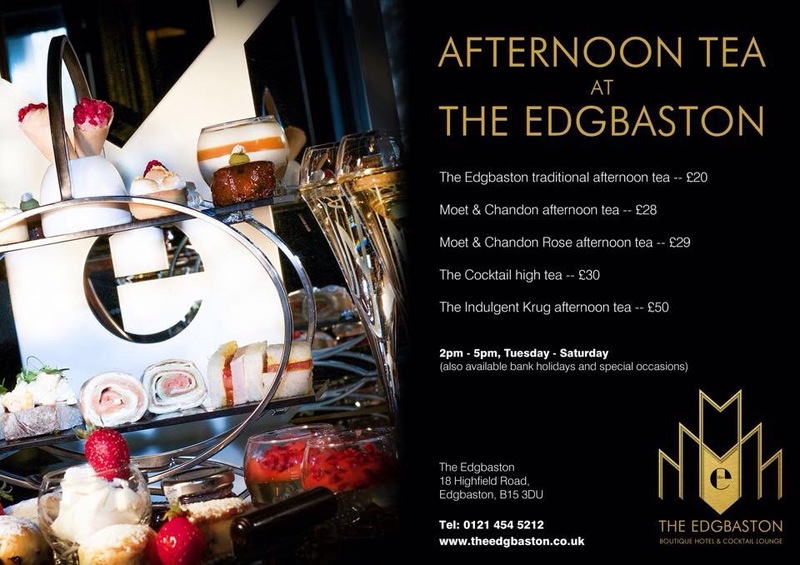 The Edgbaston in Edgbaston Birmingham has recently launched a Vegetarian tasting menu to go alongside its main tasting menu. Served against a backdrop of the 1920’s chef Ryan Swift has devised a vegetarian menu that showcases seasonal ingredients and harnesses innovative techniques. More ‘social’ dining than fine dining, expect timeless elegance on a plate and innovative indulgence in the dishes. Ryan Swift who formally was at Hampton Manor in Solihull is now running the kitchen and receiving favourable reviews thus far. See my review here on the cocktails. 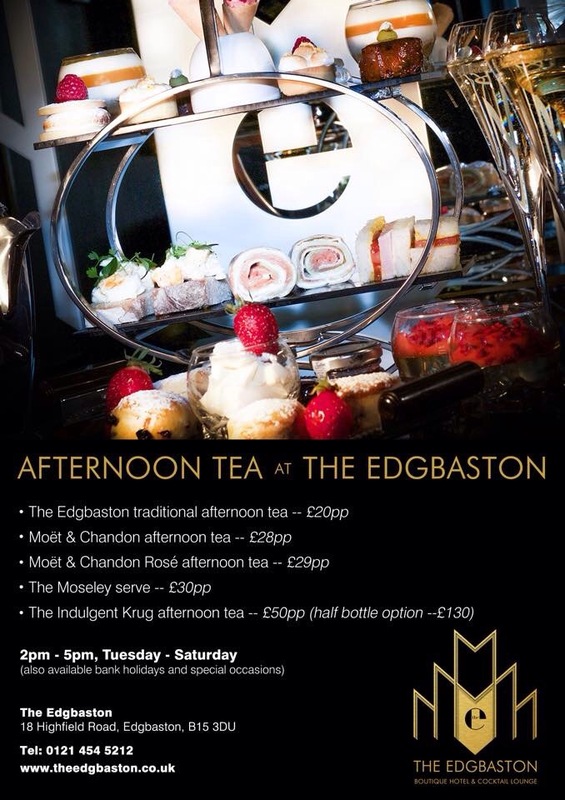 The Edgbaston opened in May last year and now it has introduced a food menu appears to be integrating itself well with nearby Simpsons and The Highfield. It has 6 boutique rooms that makes for a nice foodie break with the added cocktails which I think are the best in Birmingham. The dishes will be a combination of modern presented with a twist. The pairing concept to me seems a brilliant idea and should be a huge success when launched for vegetarians. Keep an eye on my blog for updates on the menu and cocktails. Also served is an A La Carte menu from Tuesday to Friday. This is served from 2-5pm Tuesday to Saturday. 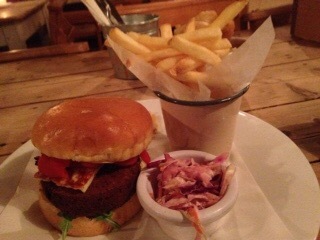 Which includes their very own Moseley Serve for £30. 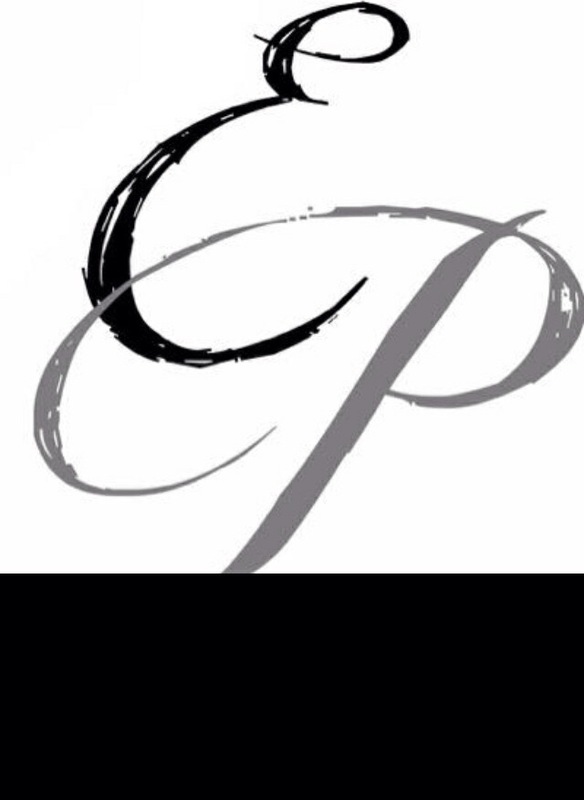 So for that effortless timeless elegance and unwavering good taste you know where to go. The Edgbaston, 18 Highfield Road, Birmingham B15 3DU. En Place is a new pop up restaurant from chefs Michael Crew, Josh Porter and Chris Dance. On the 14-15th May they will be at Six Eight Kafe, Millenium Point from 18.30-22.30. They have over 30 years experience in kitchens and this exciting new pop up experience should introduce thei food to a brand new audience. Along side a meat menu will be a bespoke vegetarian menu using seasonal and local produce to create elegant but affordable food with s modern twist. Their will be a set tasting menu plus with BYOW should make for a good value evening. Priced £35 for 5 courses. Mention on booking that you are vegetarian. I will keep you updated on vegetarian menus as I hear about them. Keep an eye on Twitter and Facebook for updates on En Place. One of the finds for me since I started my blog is the casual Loungers cafe bars that offer all day casual eating, drinking and community chilled fun, quirky atmosphere, amd a relaxed vibe whatever the day or night or occasion. They are extremely popular and what I like about them community driven. My local one in Kings Heath, do fundraising, have book sessions, do charity work, they have a community notice board where people can promote events, local information. They offer a space for families to dine in a casual way with children’s activities and games, as well as offering an informal drinking and dining scene for evening down time. Birmingham and Solihull already have four Loungers bars. <strong>Arco Lounge in Harborne, Loco Lounge in Kings Heath and Desco Lounge in Shirley at the new Park Gate shopping centre. 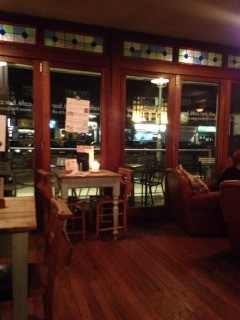 and Verdo Lounge in Wylde Green. All four offer a similar menu, from Breakfasts, all day brunch, lunches and an evening menu and a changing specials board. 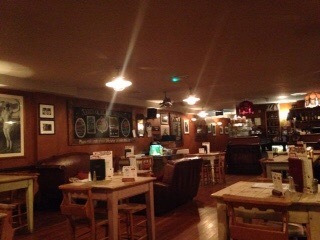 Plus coffee, cocktails, wines, real ale and craft world beers. An all round winner. They are cosy, quirky, family friendly home from home, and ideal for catching up with friends or an informal date night or as a place to work in or write over a coffee. The food, i’ve had is excellent, from tapas, to Burgers, to specials, and puds. They are very popular with a cross section of the communities they serve, and are buzzy and lively and always busy, day and night. For vegetarians and vegans, they offer a comprehensive menu. vegetarian breakfasts, veggie Kedgeree, sandwiches, tapas, veggie burgers, and risotto and Mac and cheese. They have a full vegan menu which is to be commended and serve vegan wine. Brunch is served all day, and on Tuesday’s in Kings Heath there is Tapas Tuesday where you can get three tapas and a glass of wine for £9.95. There is also an extensive gluten free menu, a kids menu and cakes, coffee and puds. 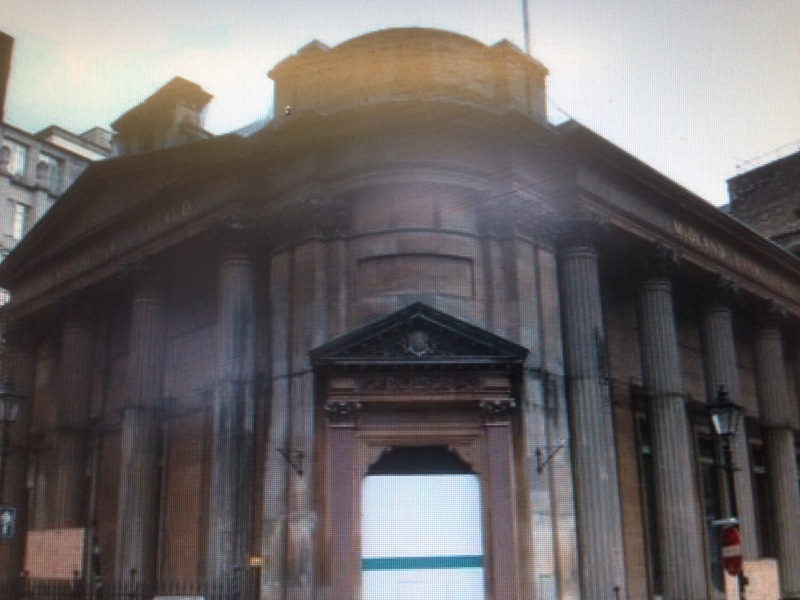 They have purchased the old historic Midland Bank building on Bennetts Hill opposite The Lost and Found bar and Issacs curry restaurant near the already successful Pure Bar and Fumo. 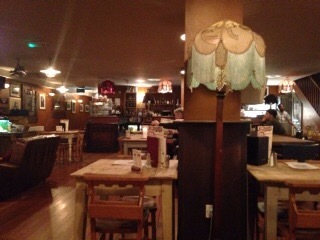 They plan to offer a similar cosy all day cafe with 30’s sofas, a quirky atmosphere and a similar menu. Expect to see vegan/veggie breakfasts up to 6pm, Mac and cheese with a twist, Veggie Bean Burgers, sharing veggie plates and cheese plates, delicious puds and coffee galore. Details are still a bit vague, but for Birmingham City Centre it should be a great place to chill with good coffee, and a cocktail and for veggies and vegans it should offer more food choice than many other places in the city do. The Botanist Bar also to open nearby in the Spring, that part of Birmingham will become even more of a haven for foodies. It should be retitled the Colmore Foodie district. Keep an eye on my blog for more details on the all the above over the next few months. 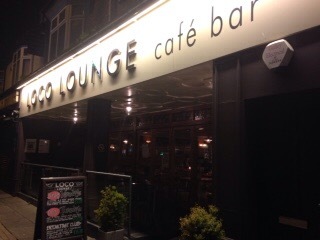 Also, now open is Quinto lounge in Sutton Coldfield which is the 5th lounges bar to open in the West Midlands. This has opened this week on the Birmingham Road. 2015 is already heralding a number of new openings and re openings in the early months of the year. Indian Restaurant Pushkar will be launching a sister venue called Praza by Pushkar this month. The new restaurant will follow on Pushkar’s focus on North Indian cuisine with cocktails aflowing. However, the food will have a international influence. The new menu will be created by Pushkar Head Chef Bishal Rasaily. Praza by Pushkar will be located in the former Rose Muree restaurant on Hagley Road, Edgbaston the venue will feature an Art deco design with Monochrome colourways, glass, and chrome for a ‘chic and luxurious feel’. Pushkar on Broad Street has recently celebrated in November 14 a five year anniversary. Pushkar is one of the best restaurants in Birmingham for vegetarians in my opinion so Praza by Pushkar is sure to be equally good and veggie friendly. keep an eye open on my blog for more opening details and menus. Sixteen Bakery in Picadilly Arcade off New Street. Set up by Lucy Lam of Faculty Coffee next door, its sure to be a place for bakes, cakes and coffee. Be sure to keep an eye on this blog for more information. Independent Japanese resturant Woktastic has recently closed at The Paradise Forum due to the arrival of the redevelopment in that area. Thankfully, it is due to re open in a new location as yet unanounced in the Spring in the City Centre. For further details keep an eye on this blog and http://www.woktastic.co.uk and @woktastic. I will be mentioning more new openings over the next few weeks. This Saturday the 20th seems to be the climax of Birmingham’s December Festive seasonal foodie calender. It’s a bit like buses, you wait around for ages and then three turn up at once. I’ve mentioned Brum Yum Yum KingshEATh already, but two more events also going on in or near the City Centre. First off is, The Birmingham Cruelty Free Christmas Fair at Carrs Lane Church Centre B4 7SX in the City Centre. 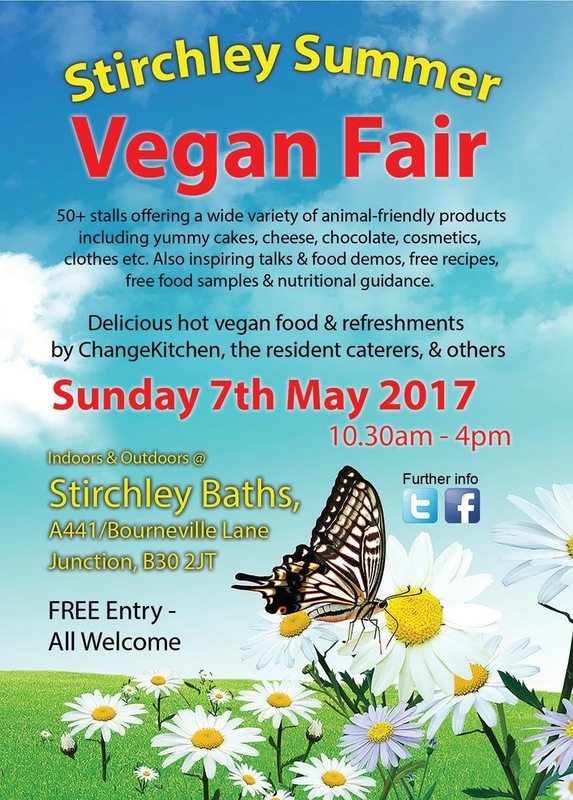 From 10.30-4pm 30 stalls will be offering a wide variety of animal free products, chocolate, cosmetics, cakes, recipe books, soaps, sweets, and gifts and much more with delicious vegan catering from ChangeKitchen whom I’m big fans of and much more fresh food stalls and nibbles to tempt you. Also, stbestcaterers, will be bringing top quality food, the best in Caribbean cuisine will be showcasing too. Run by West Midlands Vegan Fest, promoting veganism in the West Midlands including free food fairs and events. Supporting local Animal Sanctuaries, campaigning groups and small ethical traders. The fair will be free entry and run from 10.30am-4pm. The second event is Digmas 12pm-6pm at The Custard Factory in Digbeth, Birmingham. The Christmas Fair will be an alternative day out and be the best of local traders, Street food, a pop up bar and entertainment. Alfie Birds another Veggie Foodie Favourite will be provideing the drinks with a pop up bar- including craft beer, Bailey’s Hot Choc, and Christmas Cocktails. Street food and bar running until 8pm. Plus, there will be live music, an Urban Village Vintage fair, and a Mockingbird Theatre treats (see website) plus other independent luminaries from The Custard Factory to tempt and loosen your purse strings. 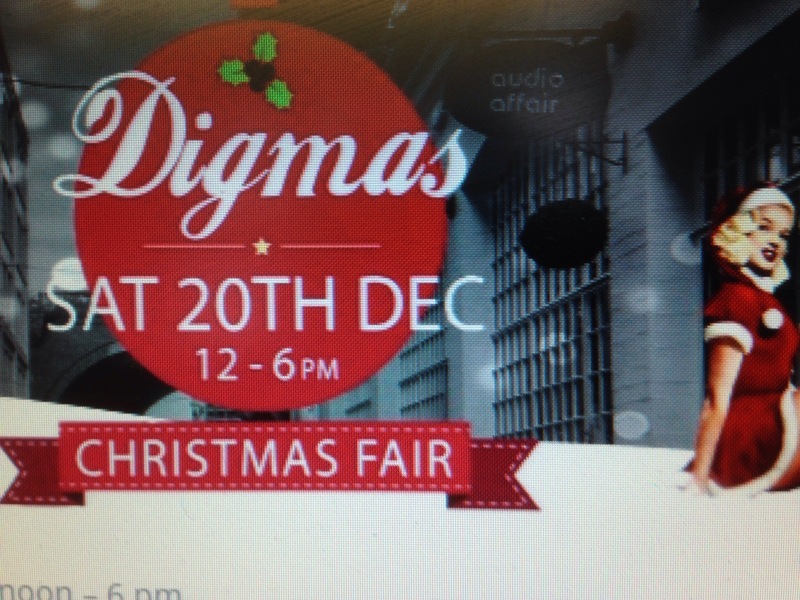 Digmas @ the Custard Factory 20th December 12pm-6pm. So in that respect any news that an Independent food grocer is opening in Birmingham is therefore greeted with the applause and plaudits it deserves. 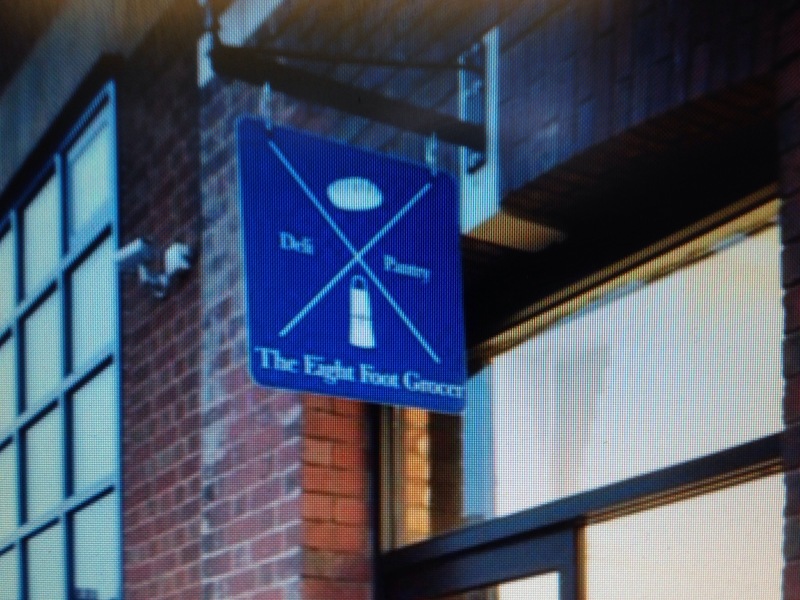 That’s why I love the idea of The Eight Foot Grocer. i did wonder if the guy who owned it initially was a giant, that eating all those veg like your Mother told you to do had made him grow so much that he had turned into a fairy tale character, old Jack himself. 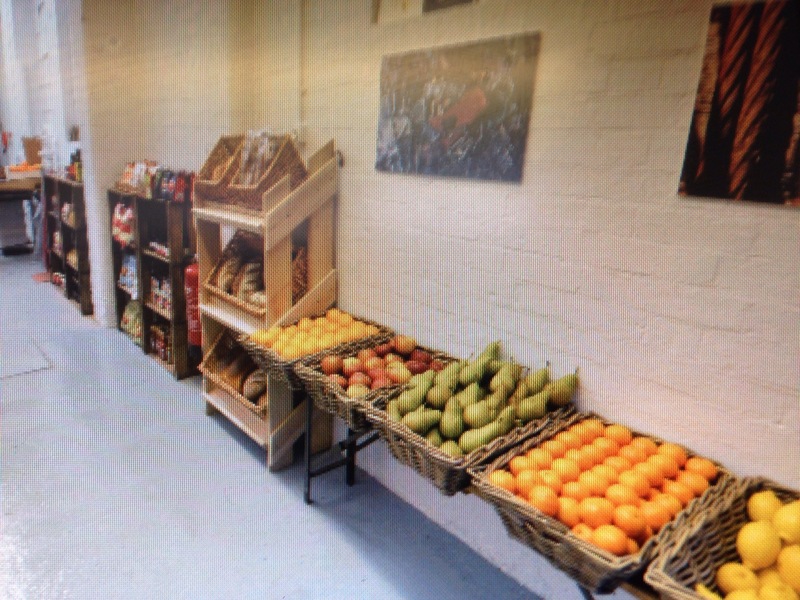 Chris has turned a quirky venue into a new fruit and veg store selling exciting deli produce locally sourced where possible and all in a eight foot wide space. The store is in Caroline Street next to the Braderie Vintage shop and opposite The esteemed Bloc Hotel. Kneals Chocolates, Pip’s Hot Sauce, pastas and olive oil. It also serves porridge for breakfast, and sandwiches, salads, and cakes for lunch.